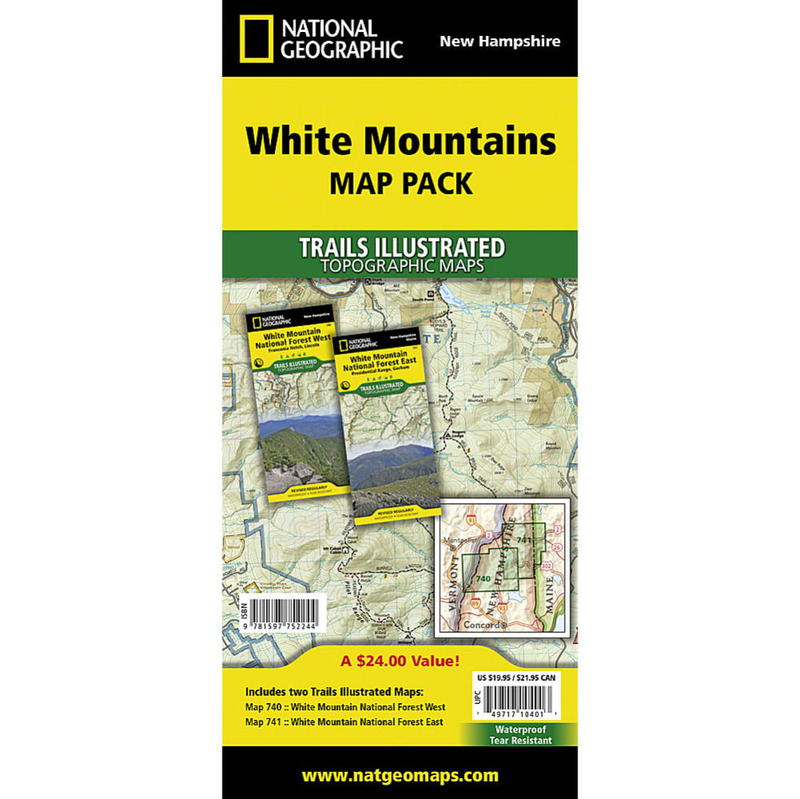 The White Mountain National Forest Map Pack Bundle is the perfect companion to anyone planning a trip the stunning White Mountains of New Hampshire. The White Mountains are famous for their rugged peaks and stunning beauty. This Map Pack combines two maps that cover the White Mountain National Forest in wonderful detail. The entire New Hampshire section of the Appalachian Trail can be found on these maps. Franconia Notch and Crawford Notch State Parks are shown as well as Mount Washington which is known for the most extreme weather in the country. Also shown are hiking trails with mileage between intersections as well as points of interest such as campgrounds, visitor centers, lookout towers, and more. Dimensions folded: 4.25 in. x 9.25 in. Dimensions fully opened: 37.5 in. x 25.5 in.